Theresa focuses her practice on commercial litigation and represents clients in a wide variety of industries, including education, financial services, healthcare, and manufacturing. She has experience in all stages of litigation, including fact investigations, initial pleadings, dispositive motions, motions in limine, discovery, depositions, and trial strategy. Theresa also has an active pro bono practice, dedicating significant time to representing low-income families in St. Louis, non-profits, and indigent clients with a variety of legal issues in state and federal court. She is also part of a team representing prisoners sentenced to life without parole as juveniles. 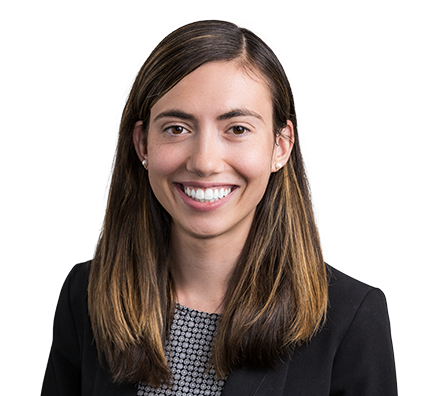 Theresa joined Husch Blackwell in 2017 after serving as a summer associate for the firm in 2016. Prior to serving as a summer associate, she interned in-house at a Fortune 500 company where she researched and wrote memorandum on a variety of topics as well as reviewed and revised contracts, sponsorship agreements, and social media posts. In law school, Theresa taught undergraduate level finance courses and was a senior associate in the Allen Angel Capital Education Fund.